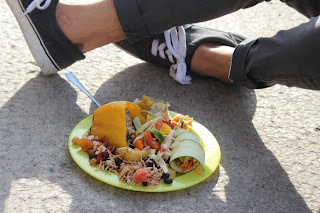 Food Not Bombs is a worldwide initiative that combats and raises awareness about hunger, poverty, homelessness and sustainability through the sharing of meals. 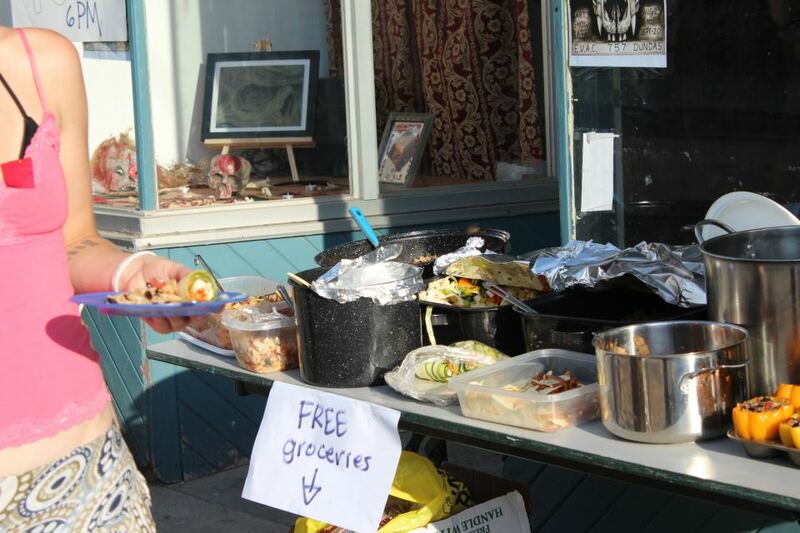 We had an overwhelming amount of donations given by Lemington Farmers, Veg Out, and Linda! Posted by London Food Not Bombs at 6:07 a.m.
London Food Not Bombs is an initiative run by community members for community members. 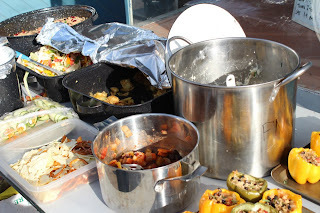 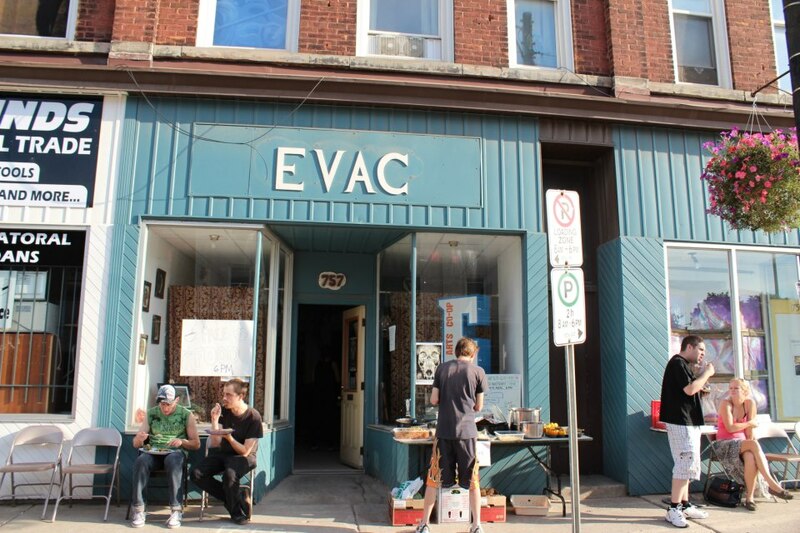 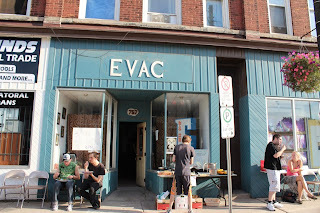 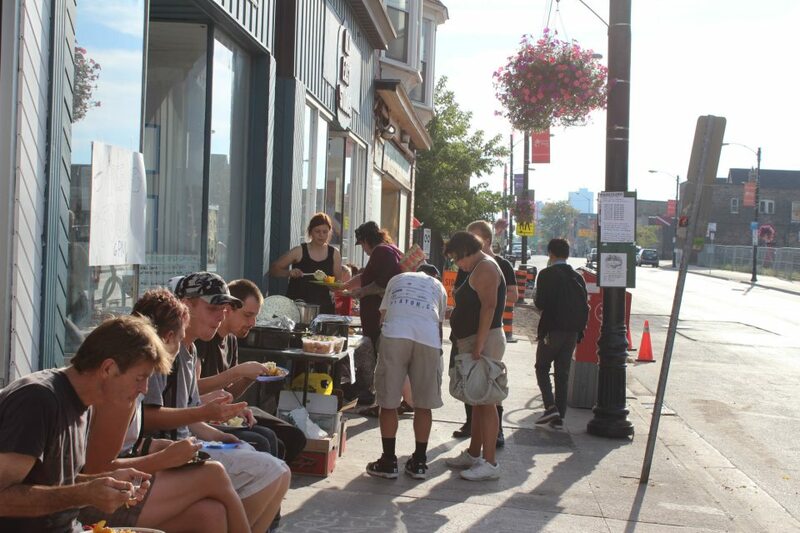 We serve a vegan and/or vegetarian community meal at the East Village Art Collective (EVAC) on the last Sunday of every month, as well as at occasional social justice events in town.